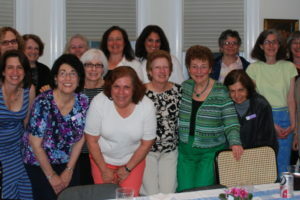 Sisterhood provides annual financial support for educational programs in the pre-school and religious school. 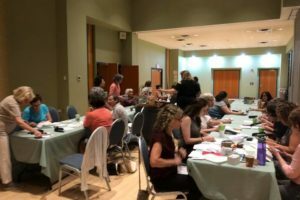 We also provide funding to help with Synagogue holiday celebrations, lifecycle event gifts, Friday Night Shabbat Onegs and support with Shivas. 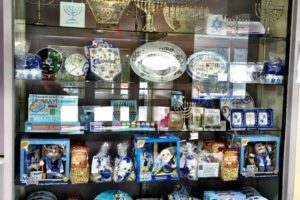 None of this could be done without the fundraising we do through our annual Purim Basket/Mishloach Manot sale, our November Holiday Shopping Spree and our lobby gift shop. 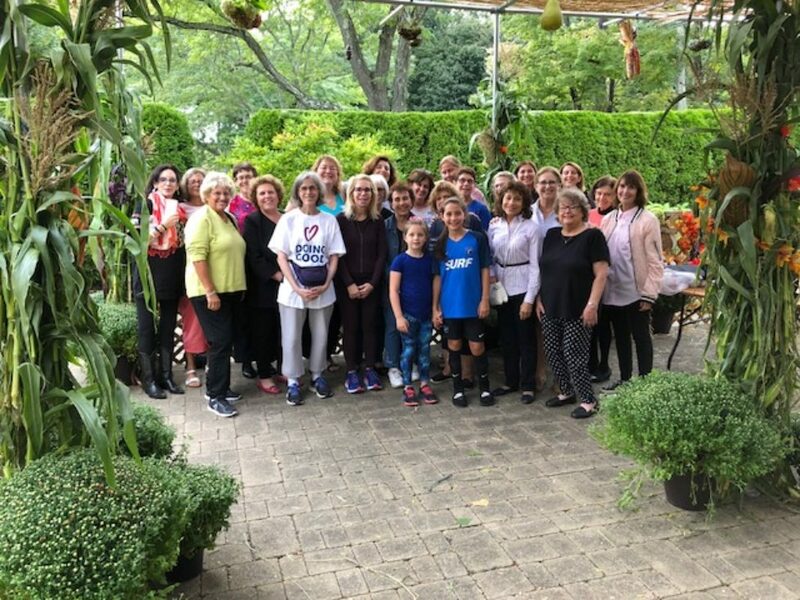 No matter how much or how little time you have to give, becoming a member of Sisterhood will lead to making new friends while working to help Kol Ami. Preparing the donation bags for the High Holy Day food drive.